I have avoided writing a “my favorite apps” piece for a few years. I’ve always felt that since so many others have written about useful apps there was no real point for me to restate what others are sharing. Three things changed that. First, over the last several months I’ve been asked this question with increasing frequency. Second, I’ve found that many people are not aware of some of the apps on my list, and lastly, I figured since I’m on vacation this week a favorite apps piece was due. For those that don’t know my travel habits, when I travel I keep my schedule very tight. I value my time at home and with my family, so I book flights that get me there in time, but not way ahead of time; and I book return flights with just enough time to get to the airport. Additionally, when I’m on the road, the demands on my time are no different than when I’m able to work from the office. 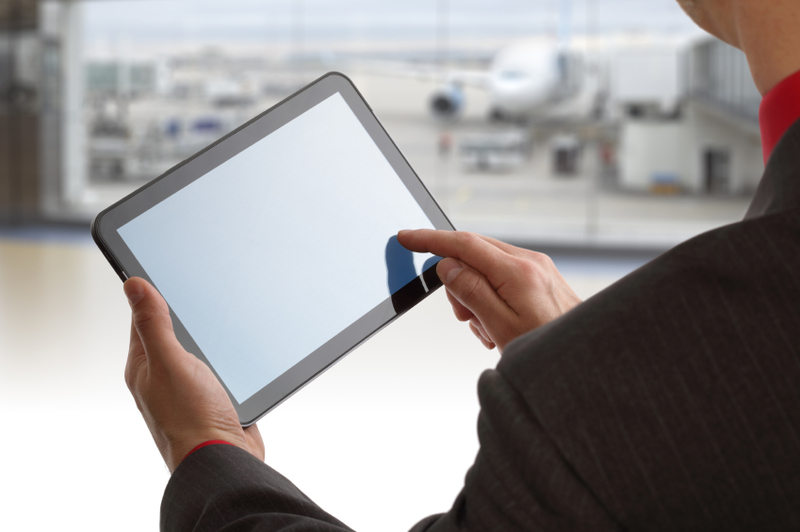 Clients expect the programs to advance, content to be created and analysis to be done. Prospects need to be nurtured and I need to make follow up calls. So the invention of the iPhone and iPad were exciting times for me. They’ve allowed me (and countless others) to enhance my productivity without carrying pounds of equipment (of course, they also let you pass time while you’re waiting for your delayed flight to board). Since the 3rd generation iPad was released, I’ve been able to travel many times without a laptop, while still being able to keep up with everything but the most intensive analytics or design tasks. The apps I highlight here have all made that possible. You know you’re doing something right when you’ve created an app that seems to appear on everyone’s best apps list. I almost didn’t want to list it here, because so many others have, but I found recently that there are still a lot of people that don’t use it, or even know about Evernote. 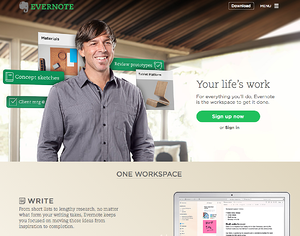 Evernote is notebook app. 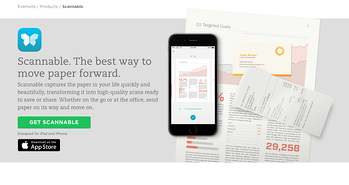 It’ lets the user take notes, clip web pages, record audio/video and organize all of those notes by notebooks and even keywords. Evernote makes collaboration a lot easier with the ability to share your notebooks with others. For example, I’ve got a “Drive Traffic” notebook that I share with Stacy (my marketing manager). Whenever we find an article, a blog post or have a thought about what we can to do enhance quality traffic for our site, we put it in the notebook and we know we’re both looking at the same material. Evernote is simply an app that everyone should use. This is the newest app to make my list. Not surprisingly it comes from the same people who brought us Evernote. Scannable turns your smart phone into a high quality scanner. Simply put whatever it is you need scanned on a surface and Scannable automatically finds the borders of the document and “scans” it by taking a picture. Now I’ve used other apps that claimed to do that, and I’ve even just taken a picture of a document before, but they all looked bad and were barely usable. With Scannable you can’t really tell the difference between it and the output from an actual scanner. Now wherever I am, I can get the information I want to the people that matter. Every day for the last four months I’ve gone to sleep with an “Inbox Zero.” I’ve got to tell you that ending your day with nothing in your inbox is a tremendously peaceful feeling. At the same time, my inbox has become far more powerful in organizing what I need to be focused on and keeping track of what needs to get done. 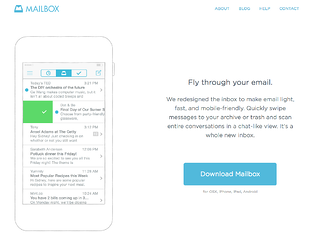 None of this would be possible without the use of Mailbox. Mailbox allows me to “swipe” emails based upon how I want to treat them and what action is needed. For example, just before I left for vacation I had three emails that will need my attention when I get back to the office on Monday. With a simple swipe, I was able to schedule those emails to come back into my inbox when I get back. When my wife sends me an email about something that needs to happen with the kids, a simple swipe schedules the email to appear that evening (or whenever I need it). I’m also able to delete or archive emails faster and easier than I can in their native applications. I love music and when I need to get work done, different types of music allow me to focus. I’ve found different themes of music help me focus based upon what needs to be done. Pandora’s ability to quickly set up different themes and switch between them makes it a must on my iPhone and iPad. 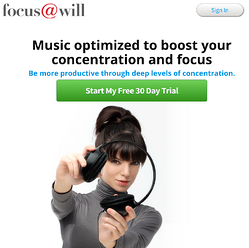 I’ve also found a new service, Focus@Will that applies neuroscience to the music it creates that helps you focus. They’ve programmed different types of music designed for how your brain works and even the tasks at hand. I tried it initially without believing it would work, and I found out that when I really need to focus on a task Focus@Will lets me tune everything else out. I’m surprised that I don’t see these on more lists. I’ve got to say that since Microsoft released these apps for i-devices, I’ve been very impressed with them. The three main apps – Word, Excel and Powerpoint – all behave like their desktop versions, and having them on my iPad allows me to get stuff done with no degradation of productivity. I’m always in pursuit of the ideal headphones for traveling. From the time I get into the airport to the time I reach my destination, I want to be listening to music. Finding headphones that combine ease of transport with music quality have led me to spend more money than I care to share on headphones (though my wife and daughter enjoy the headphones I give up on). 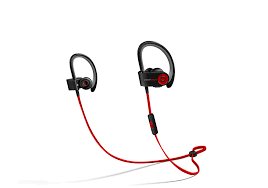 I tried the powerbeats2 a couple of months ago and fell in love with them. They’re light, easy to use, they take up virtually no space and the music quality is pretty good. I put them on and quickly forget I’m wearing them. These apps (and headphones) have made travel far more tolerable for me, and if you’re not using any of them – give them a try. You’ll be glad you did.